Today could have been a good day to stay in bed (at least sleep late) but I didn’t do that, even though I had the day off. Instead, we bought a new bed. We got a REALLY great deal on a new headboard/footboard/frame and it’ll be ready to pick up in about a week. We also had a look at a new memory foam mattress but didn’t manage to persuade ourselves to buy one. 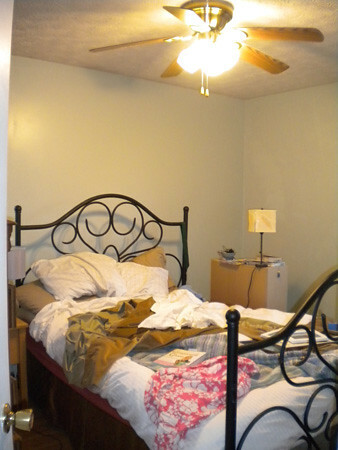 As soon as the new bed is in place, and we have the currents up and not on a bed, I’ll show you a new picture. For now, I should probably clean a spot for us to sleep in tonight! Can’t wait to see the new color. Our living room is a olive green….and I love it!